Synopsis: Lana Davis arrives in New Mexico from Los Angeles, planning to look up a former boyfriend and take in some sightseeing. But this all-expense-paid trip is not a vacation. She’s here to find Antonio Chavez, last seen in Santa Fe. He’s the missing beneficiary of a large life insurance policy her company issued. The heat is on because a disgruntled heir insists he should receive the proceeds instead. However bogus his claim is, the public relations nightmare he causes for her company is real. If Lana doesn’t find Antonio, her job is on the line. Lana’s search for Antonio brings her into the inner circle of a powerful art gallery in Santa Fe, owned by the daughter of a wealthy family. Although Lana’s knowledge of art is limited to the one art history class she took in college, she soon discovers that when art and greed collide, the result is deadly. Her knack for finding dead bodies makes the police nervous–and finding herself a target for murder is more than she signed up for. 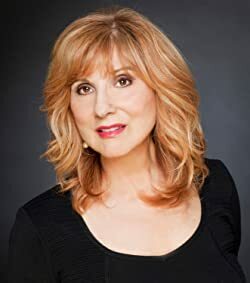 When Lana Davis, an insurance adjuster from LA, heads to Santa Fe to find a missing heir, she gets more than she bargained for. Her investigation takes her deep into Santa Fe’s art scene, where she finds forgery, murder, and temporary employment. The story starts off slow, but once Lana makes it to Santa Fe the action, and the pace of the story, pick up. The search for Antonio “Lefty“ Sanchez, a client’s beneficiary, takes Lana to several galleries where Lefty was employed doing odd jobs. 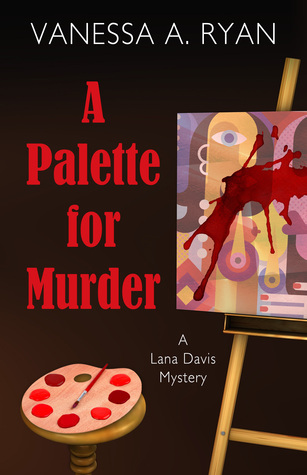 One of the gallery owners decides that an insurance investigator isn’t that far from private detective, and asks Lana to track down a missing painting and in so doing, save her gallery. While Lana’s main focus in Santa Fe should have been to track down Lefty Sanchez for the employer who is paying her expenses, she devotes most of her time and attention to her investigation of the missing artwork. The two mysteries eventually start to intertwine though, and there are enough suspects and red herrings to keep you guessing as to who has done what. While they mystery itself is well plotted and enjoyable, the characters fell flat for me. I didn’t feel any emotional connection with the main character, or see any real conflict in her decision making process. Lana displays the same lack of commitment to her new part time job as she did to her original job, and I found her indifference off-putting. I prefer a heroine that I care about and can root for, or a main character that I can despise, but Lana was neither of these. With a little more character development this could turn into a good series though, so I’d be willing to give Lana one more try. NOTE: While I received a copy of the book and was compensated for my review, this in no way influenced my opinion or rating of the book. Next > Caffeinated Reading for National Coffee Day! Sounds like one I’d enjoy. Thanks for the review.